There is something so earthy, simple and yet beautiful about a garden bench that its hard to resist the tendency to go past it and not sit down on it. Its' inviting space draws you to seat yourself and take in the beauty of the surrounding. It may be a simple piece of furniture but serves as a valuable all-weather friend to its occupant in their solitude. If you think of a teak garden bench, the picture you get is of someone sitting idly and gazing at a distance, contemplating about something in the past or future. While some may sit an ponder over their thoughts, some may just lie down and relax after a hard day at work, like a gardener. If you have a garden bench you can also use it to store all your gardening tools below it. Parents with small children use it as a platform to sit an observe their children playing around. In the evening, while the children are playing they can sit and catch up on the happenings of the day with each other. For someone into reading or some form of creative work, it is a perfect setting to catch up on their favourite book or delve deep and stoke their creative thoughts. English author and illustrator, Malcolm Charles Peet felt the same when he said, "Benches and books have things in common beyond the fact that they're generally to do with sitting. Both are forms of public privacy, intimate spaces widely shared". Though it is not uncommon to find benches made of metal, stone or plastic, benches made of wood have a certain class attached to them. 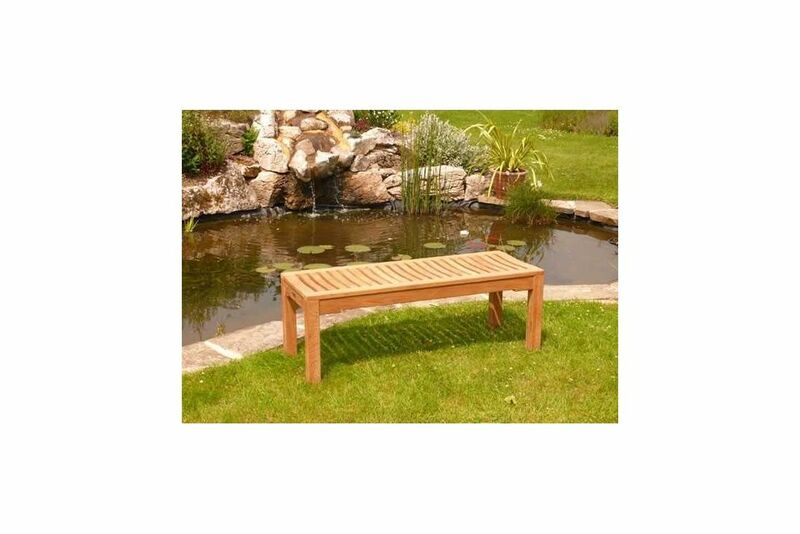 A teak garden bench nestled in one corner of your garden adds to its' overall charm. 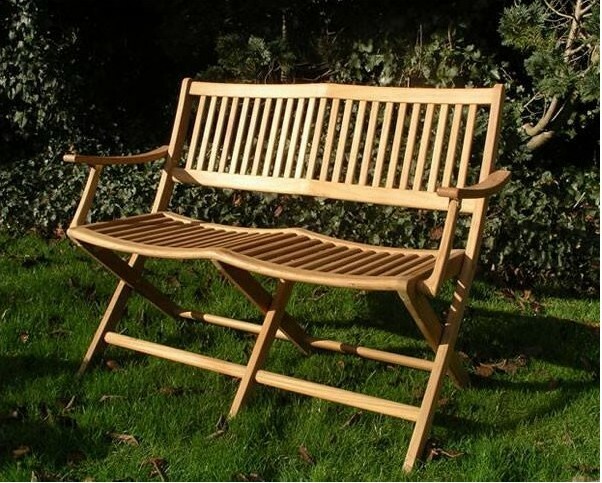 Teak wood is generally considered to be the best material for a garden bench owing to a host of benefits it comes with. It has the ability to withstand the harsh effects of all the weather conditions like rain, snow or heat. It has a special oil which repels water, thereby keeping it away from warping, cracking or becoming brittle. The same oils help to repel insects like the termite and marine borers. Teakwood gathers a beautiful patina over time and therefore, no paint or varnish is required to maintain its shine. This patina of your Teak garden bench exudes a certain class as it ages by blending with your surrounding furniture and complementing them. 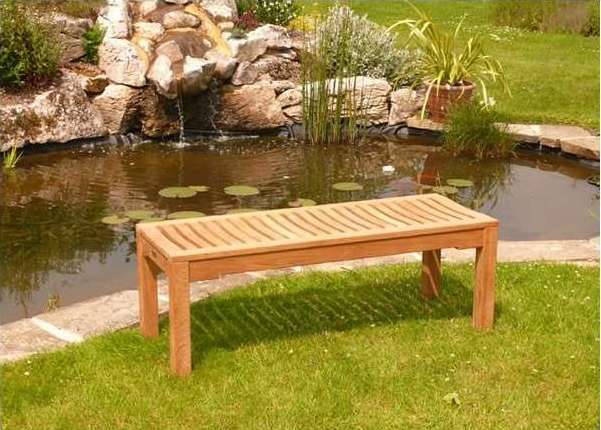 Above all, your teak garden bench will survive for years to come as teakwood are very strong and known to be very long-lasting for outdoor furniture. 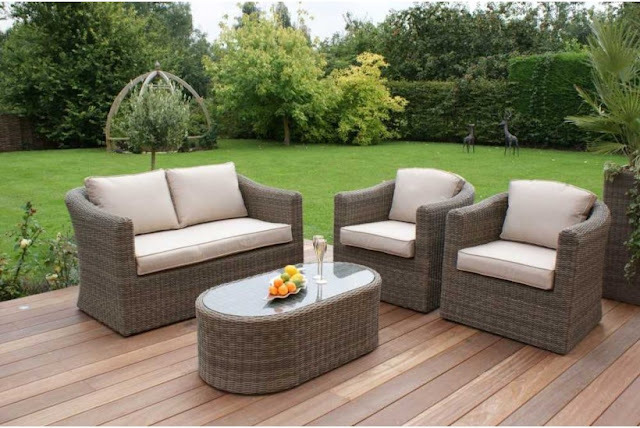 Teak garden benches from Garden Furniture Spain are made from the finest quality of teak wood and come in a vast range of styles and sizes for every customer. 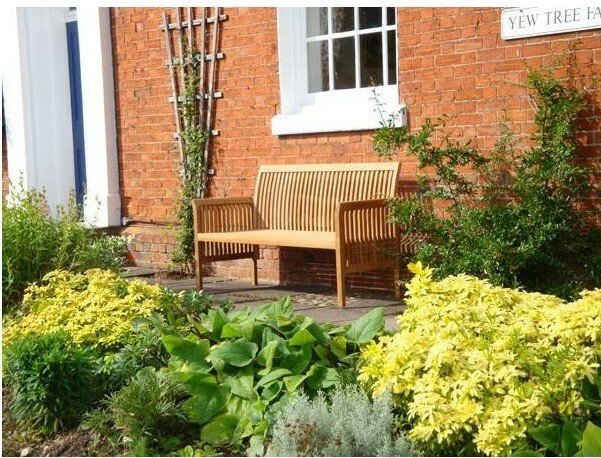 Some of their garden bench models are Teak Backless Bench, Henly Folding Teak Bench, Royal Armless Bench and Wagon Wheel Teak Bench. Moreover, they can personalize your garden bench by engraving your name or a message with their engraving machine.